While the cold war between Akshay Kumar and Shah Rukh Khan over the title of being the king of Bollywood is still on, guess who has actually got the title? Yes, it’s none other than Aamir Khan, who has replaced SRK on the top slot in Filmfare Powerlist 2008. 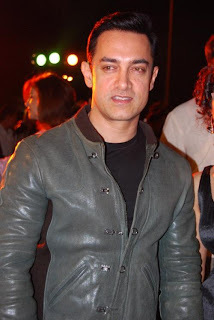 The "Ghajini" Star, Aamir Khan was nowhere in Filmfare Powerlist 2007 and it was Shah Rukh who was on the topmost slot. But, the situation has changed drastically in 2008. Aamir not only got a place in the powerlist but also made it to the top most position. Thanks to Aamir’s directorial debut “Taare Zameen Pe” and his production “Jaane Tu Ya Jaane Na”, both these movies proved Aamir’s mettle in directorial field. Perhaps this is the reason, that Aamir not only replaced SRK but also is now rated as the best director in Bollywood. No matter how much Shah Rukh stresses that he is the number one star of Bollywood, it is Aamir who got the number one position in the Filmfare Powerlist 2008.